The reason I love Target so much is because they are always up to date with the latest fashion trends, yet I never cringe at their prices, so it's a win-win for me! 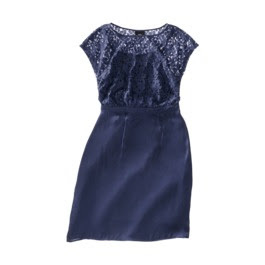 This Spring, it's important to have a couple different dresses to choose from when it comes to occassions such as: Birthday parties, bridal showers, Mother's Day/Father's Day outings, church, and Graduation parties. 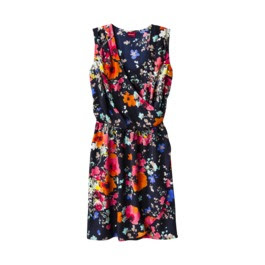 Floral print dresses are a hot new trend and it's a great print on a dress especially in Spring and Summer. Regardless of what style the dress is, floral print will look great on so many different body types. Target has them for just under $30 in all different styles of dress. Lace overlay dresses are great for a formal event such as an outdoor wedding, where you want something in a bright color but you don't want to sacrifice comfort. They come in all different colors and are light and breathable so even if you are sitting in the sun, you won't suffer! 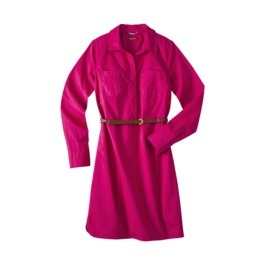 Target also has a great Wear To Work selection that is office-appropriate and very classy. Choose from any of the hot colors and ensure that you will look your best and work even harder to get that promotion in your office!